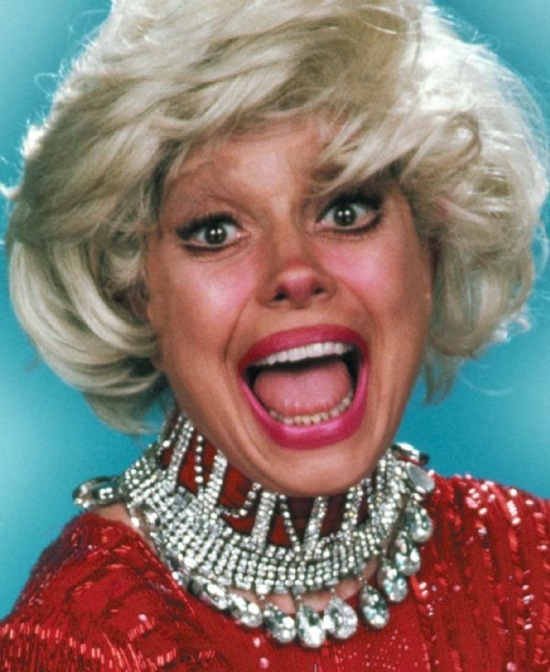 I was really sad to hear that Carol Channing had gone to the Hollywood in the sky recently. I was lucky enough to meet her once and she was a STITCH. 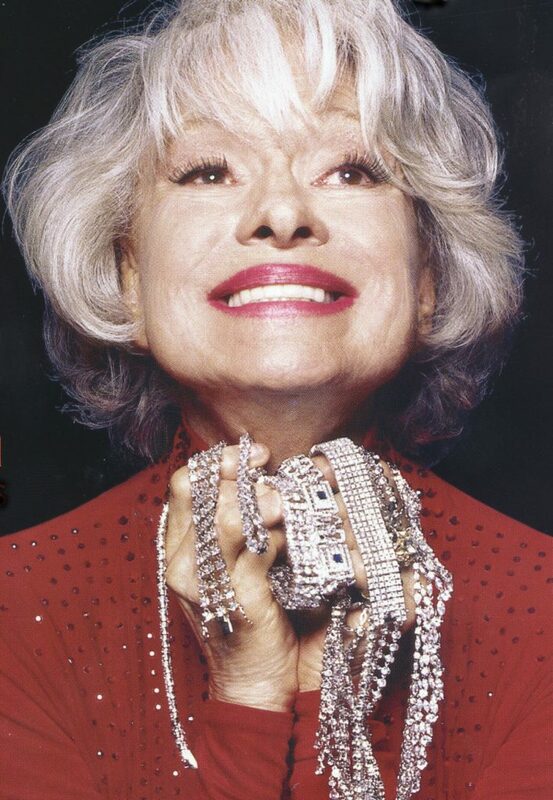 In this photo, she has just told me and my chum Caroline a very rude joke about Tallulah Bankhead. 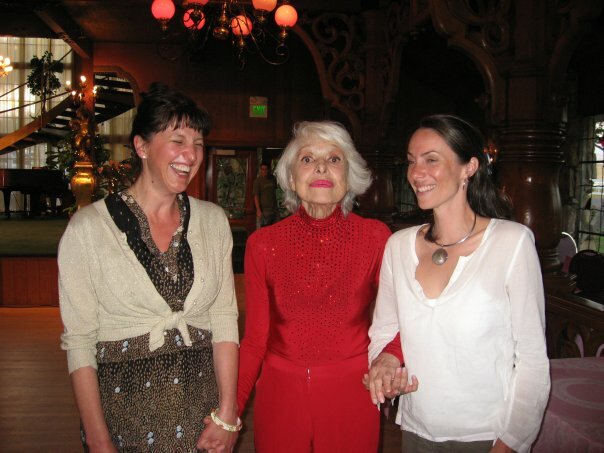 Yes, we are holding hands with Carol Channing. In tribute to a truly great talent, I made some Hello Dolly Cookies and man oh man oh man. These cookies were ACE and the easiest thing in the world to put together. 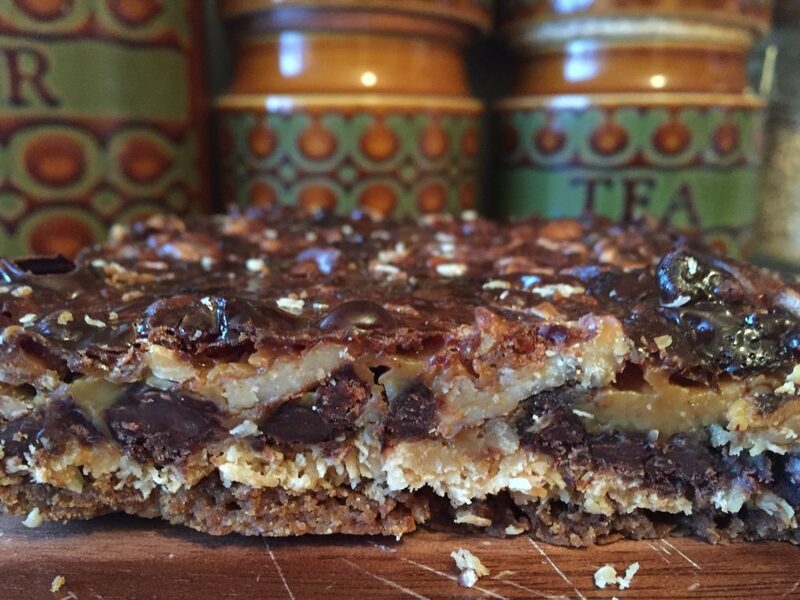 You just layer everything up in a cake tin and stick it in the oven. Simples. This recipe is in one of my weirdest movie star related cookbooks. 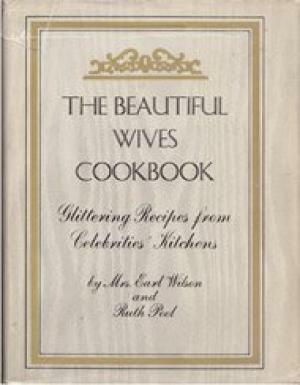 It is called The Beautiful Wives Cookbook and it’s all a bit odd. It’s often difficult to tell if the recipes really ARE “Glittering Recipes from Celebrities Kitchens” or if Mrs Earl Wilson and Ruth Pool are just making them up. Pour 1 package of chocolate chips over and spread (Carol uses 2 packages). Here is an anglicised version for my Goddaughter Jessie, I know she likes these cookies and her mum Battenburgbelle is putting a cookbook together for her. 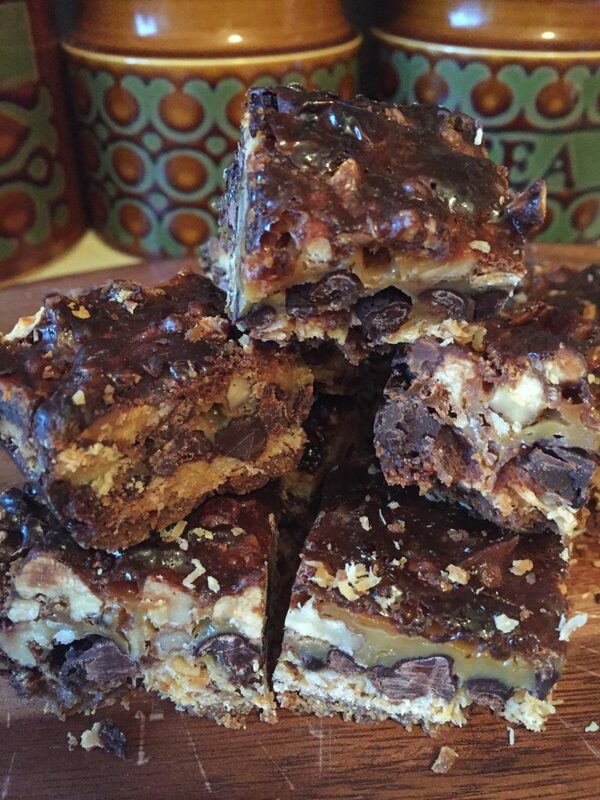 When Jessie goes away to Uni, I can totally imagine the squeals of joy that will ring out in her halls of residence every time she makes some of these. P.S. If you haven’t got any scales, just wing it! You can’t really go wrong with this recipe even if you have a bit more or a bit less of any of the incredients. If you have a really nice cake tin and you don’t want to ruin it by slicing up the cookies in the tin, you can line it with parchment paper. Thank you, Carol, for being so utterly fabulous, and thank you, ladies and gents of The Little Rock Cooking Club, for your totally fabulous recipe. Oh my word! They’re some cookies! I caught the last half of Gentlemen Prefer Blondes on tv at the weekend when I was feeling full of cold- cheered me up no end! These cookies are FABULOUS Hazel, you should give them a go. I absolutely LOVE Gentlemen Prefer Blondes and it was the first thing I watched on my DVD projector when I moved into my flat about 10 years ago. UTTERLY GLORIOUS! They don’t make ’em like that anymore!